One should always keep in mind the point that; the mankind is born for trial. Allah has set the rules of practice to be observed by the mankind in this world and one should strictly adhere to these rules. He sent his messengers and prophets (peace be upon all of them) so that they can demonstrate these practices for the mankind. Once it is practically demonstrated and successfully practiced by the prophets (peace be upon all of them), then Allah expects the mankind to demonstrate and follow the prophets (peace be upon all of them) likewise. Taharat, purification, is one among many things Allah expects the mankind to follow. 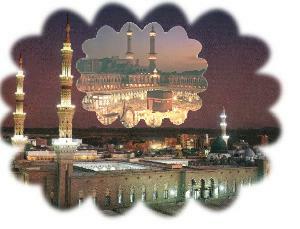 Islam preaches for Taharat, purification, in every field of one’s daily life. Taharat is the purity, cleanliness and sanitation for the mankind. It is the purity of one’s heart with respect to faith in Allah. It is the purity one should observe after urinating. It is the ablution or wudhu one should practice before prayers. It is the bath after one meets his wife, which keeps them pure. It is the donations for poor, which purifies one’s wealth. Joining gods with Allah and ascribing partners with Him is Shirk. It is the impurity of the hearts and had been strictly denounced and rejected by Islam. "'Shall I inform you (of an act) by which Allah erases sins and raises degrees?" They said, "Certainly, O Messenger of Allah." He said, "Perfecting the ablution under difficult circumstances, taking many steps to the mosque, and waiting for the (next) prayer after the (last) prayer has been performed. That is ribat. People wonder watching Muslims using water even after urinating. The mankind has been advised for cleaning their private parts since it helps in keeping themselves pure. The prophet used to do this and hence we are also bound to follow this. “Whenever Allah's Apostle went to answer the call of nature, I along with another boy used to accompany him with a tumbler full of water. (Hisham commented, "So that he might wash his private parts with it.)" Purity is so important an act that the prophet ordered to clean the private parts by stones if one does not have access to water. Along with the rewards for those who obey the rulings of Islam, Allah also warns the disobedient, for they may take some lessons from these warnings. The prophet had advised that one should be very careful while urinating and warned of severe punishments if urine contaminates the body or clothe. “Once the Prophet went through the graveyards of Medina and heard the voices of two humans who were being tortured in their graves. The Prophet said, "They are being punished, but they are not being punished because of a major sin, yet their sins are great. One of them used not to save himself from [being soiled with] the urine, and the other used to go about with calumnies [Namima]." Then the Prophet asked for a green palm tree leaf and split it into two pieces and placed one piece on each grave, saying, "I hope that their punishment may be abated as long as these pieces of the leaf are not dried." The prophet was used to advise this whenever he sends someone outstation. “Thy Prophet sent Muadh to Yemen and said, "Invite the people to testify that none has the right to be worshipped but Allah and I am Allah's Apostle, and if they obey you to do so, then teach them that Allah has enjoined on them five prayers in every day and night [in twenty-four hours], and if they obey you to do so, then teach them that Allah has made it obligatory for them to pay the Zakat from their property and it is to be taken from the wealthy among them and given to the poor." The world has witnessed the incidents, when after just few years of implementation of Zakat and utilization of the Zakat funds honestly, changed the social and financial order of a society in such a way that it made people difficult to search someone who is really poor and eligible for accepting Zakat.